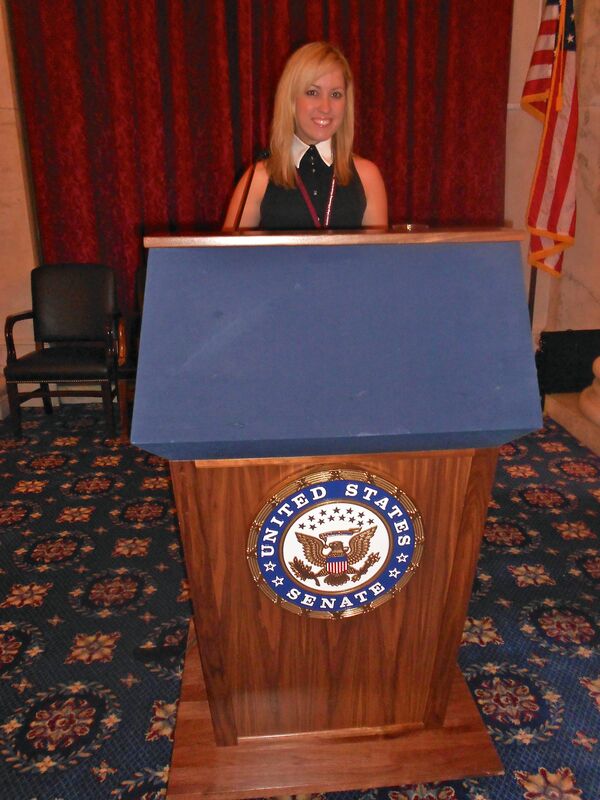 Recently, I took part in the American College of Rheumatology ACR Advocates conference in Washington, D.C. In the past, I’d done a lot of Arthritis Foundation e-advocacy events online, but this time when I was asked to speak to Congress and advocate for arthritis, I simply couldn’t pass it up. So, with my mom as my fabulous travel companion, I ventured down to Washington D.C. (one of my favorite cities on earth!) not knowing what to expect. It turned out that I learned a lot, made some wonderful friends, and got to speak to members of the state legislature about arthritis and arthritis causes. My favorite part was the people I met – and I don’t mean the senators and state representatives (though that was cool, too!) – It was the fellow arthritis patients and the rheumatologists who were wealths of knowledge, sources of support, and people who understood what words like “biologics”, “TNF inhibitors”, “flares”, and “polyarticular” meant. The doctors offered advice and shared stories, and the patient advocates were people who quite literally felt my pain — and while I”m sorry that they have to go through it, too, it was nice to find others (of all ages and demographics) who could relate to what I deal with on a daily basis. Of course, aside from the people that I met, and after getting over how “cool” it was to be “behind the scenes” (I got photos with senator, an “official business pass” and even got to ride on the tram-car subway underneath the Capitol!) 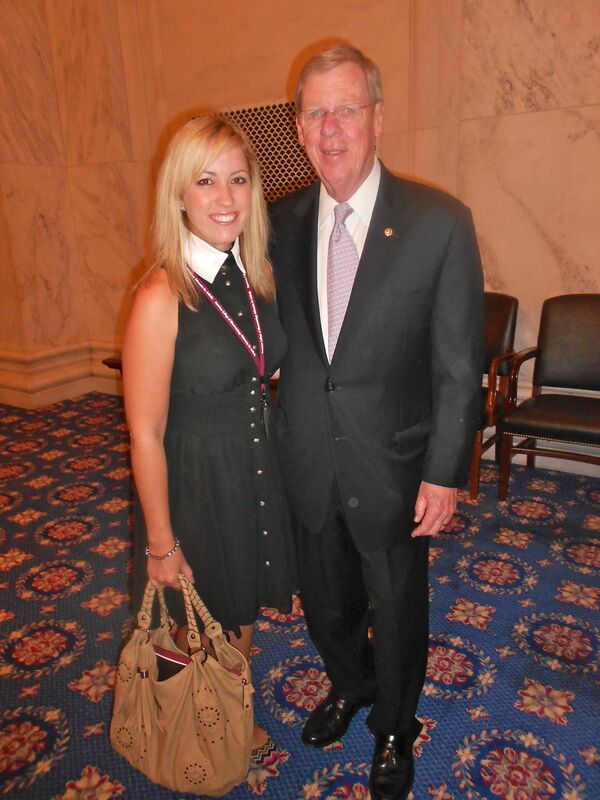 it felt great to go to Capitol Hill and lobby for a good cause – a cause that I am truly passionate about. We talked about the patient access, patient treatment, and funding for research. My advocacy team spoke of fixing the Medicare problem and eliminating “tiering” on expensive biologics and other costly treatments, but I mainly focused on speaking about the importance of funding research and maintaining current levels of NIH funding. The grants that the National Institute of Health gets are vital to continuing research for chronic illnesses and disabilities including rheumatoid arthritis as well as other forms of arthritis. When in front of these “big-wigs” in Washington, I made it personal. I told them that for us — the patients — we worry about the future. When we plateau on one medication, we need to know that there is another drug available to us. Better yet, it would be nice to just have a treatment work — and STAY working. It would be even BETTER to find a cure! However, none of these advances can be made without these research grants. When speaking in the limited amount of time that I had, I lamented that I am young, and thus have my whole life ahead of me, therefore, I need to know that I have hope for a better, healthier future. I told them that I am a newlywed and want to have children someday — but I want to be able to know that moving forward, I’ll be able to play with, hold, and care for my kids — because, some days, I can barely take care of myself. The solution? Treatment options: treatment options that come with research and medical advances. The issue is that these medical advances take funding — and so our job as patients is to let the government know that funding for these research programs needs to be maintained. How can you get involved? Firstly, there are many grassroots initiatives and e-patient rallies that go on all the time. There are many websites and organizations through which you can get involved. The American College of Rheumatology has an arthritis advocates website. So does the Arthritis Foundation. The AF hosts an Advoacy Summit every year. Both of these organizations offer “virtual” components to the advocacy events so that you can advocate and lobby from your home via your computer or smartphone. While the AF and ACR have different missions or priorities that they may push, the focus of both organizations is, of course, healthcare and making arthritis a national priority. That all being said, it is important for you all to know that an event does not have to be going on in order for you to contact Congress. You can email, write, or call your state senator or state representatives at any time, and tell them your hopes, needs, and desires. Let them know your personal story, and let them know why the cause matters to you and why it matters to their constituents as a whole. You can make a video or write a blog and send them the link. The more they know, the better informed they are when making crucial decisions. For more information on advocating, check out the Arthritis Foundation website. Before you go, please check out this video that some kids with Juvenile Arthritis made for President Barack Obama, asking him to Talk About Arthritis! Tags: Access, ACR, ACR Advocates, Advocacy Summit, Advocating, AF Advcacy, American College of Rheumatology, ankylosing spondylitis, Anti TNF, Arthritis, Arthritis Ashley, Arthritis Blog, Arthritis causes, arthritis drugs, Arthritis Foundation, Arthritis Story, AS, Ashley Boynes-Shuck, Awareness, Barack Obama, Biologic Drugs, biologics, Blog, Capitol Hill, Chronic Illness, chronic pain, Congress, D.C., Disability, disabled, fibro, fibromyalgia, Health, health care, healthcare, Human Body, JA, Johnny Isakson, Juvenile Arthritis, Kids Get Arthritis Too, Legislature, Lobbying, Lobbying for Arthritis, Medicaid, Medicare, medications, meds, Mid Atlantic AF, Mid Atlantic Region, National Institutes of Health, NIH, OA, Patient Advocates, Patients, President Obama, PSA, psoriatic arthritis, RA, research, Rheum, Rheumatic Diseases, Rheumatoid Arthritis, rheumatology, Senator, Senator Isakson, SGR, Spoonie, state legislature, State Senate, Sustained Growth Rate, Talk About Arthritis, TNF Inhibitors, treatment, Washington DC, Wellness. Bookmark the permalink. Very nice, Ashley, It was a pleasure to meet you and your Mom. I hope to see you again soon.